How do USA visa officers decide to accept or reject visa applications? Leave a Comment on How do USA visa officers decide to accept or reject visa applications? I have traveled across 23 countries. And as an Indian, I had to apply for a visa to most of them. Talk about visa pains for citizens from a 3rd World Country! My US visa application process was the simplest, utterly quick, extremely efficient and radically unique. Little did I know about US visa process, everyone around me had made me scared about the process and high rejection rates. I have had my share of visa rejections from The Philippines, China & Russia. Moreover, I have traveled to Egypt and people were telling me that the Egyptian visa will give me a roadblock. I have possessed a Chinese Employment visa and oh boy, it’s 100 times more difficult to get a Chinese Employment visa than a US Employment visa. Before my visa interview, people recommended me to talk with multiple people as well as visa agents to understand what kind of paper work is needed. Apparently, US embassy can ask for anything and everything related to complete education background, job, employment, etc. I entered the embassy and realized that everyone around me is wearing formal clothing and suits. While I was wearing a T-shirt which had ‘Look But Don’t Touch’ written on it. Interviewer: Is this your first time traveling to the US? Interviewer: What’s your purpose of visit? Me: I have a conference to attend. Interviewer: Do you have a speaking session in the conference? Or are you just an attendee? Me: Yes, I have a few workshops to deliver. Interviewer: How long have you been working with your current employer? Interviewer: Can I have a look at your previous passport? Interviewer: *starts to go through all my previous visas* Alright. Your visa is approved! Me: *ABSOLUTELY SHOCKED, UNSETTLED, NUMB, EXCITED, ADRENALINE BOOST, AMAZED” I have my conference invitation letter and my employment paper work. Do you want to have a look? Embassy Personnel: No, that won’t be needed. Thank you. You can come back on Thursday to collect your passport. That’s it. This was my US visa interview. JUST 5 Questions!!! While filling out the application form, you have already provided them more information than needed. This gives them ample data to run a background check on you. They have enough historic database to check your history, background, income, education, etc. Therefore, in most cases, the decision is pre-decided, with not so much scope for a change. While pre-clearance may give an idea about your background to the interviewer, the remaining share of the process is defined by the level of communication. If your application is pre-cleared, they won’t ask you much. If it’s not, they may try to grill you with unlimited questions. They may assess your communication skills on the basis of a lot of factors ranging from your level of confidence, to even your accent. This completely depends on the intuition of the interviewer. While, they may ask you many questions, the objective is to double-check and double-confirm to verify the information on your application form. All those applicants who get an agent to fill their form, be careful here! Generally, if an application is not pre-cleared, it is made stuck for a particular section (Eg, employment history, education, finances, etc.). They will try to ask you more questions about the section/(s) which is not pre-cleared. Your international travel history may play a supporting factor in case a particular section is not pre-cleared. I have a friend who’s mom got rejected for a US visa once. She then traveled all over the world and got multiple countries. She re-applied. This time, she was granted a visa. However this may have limited scope based on the type of visa as well as the connection of a particular section which is not pre-cleared with your ‘Travel History’. This is where you need to be a little smart. You should get an understanding of your interviewer’s body language, while presenting yourself in an ideal way. For example, which papers is he/she going through more often?, What kind of questions is he/she asking again and again?, etc. In the worst case scenario, even if your visa gets rejected, you should have an understanding of why it got rejected. Obviously, the embassy is not liable to give you a reason of rejection, so you need to have an understanding here so that you can work on solving the problem in future. If your university/employer is getting a lot of applications. This may increase/decrease your chances of visa approval. If your employer/university is extremely famous, your chances may increase. The more your education background is connected with your future university/job, the better it is. Don’t waster their time. Be to the point and support your verbal information with paper proof. Therefore, always carry as much paper work as possible. You never know what you may get questioned on. They have hundreds of applicants and extremely limited time. Arrange Paper Work: You should arrange paper work in a way that you don’t take much time to find relevant papers. Don’t freak out if you can’t find a specific paper, be calm. Take it easy! Don’t question them/the process. They have been trained to do their job. They know all rules, requirements, procedures, documentation, legal requirements, loopholes and policies. Don’t question the process or them. This may make you look over-confident. Don’t cross-reference them: Do what you are simply asked to do. Don’t say ‘Oh! I thought this was not needed’ or ‘Oh! This is what the agent told me’, “…..This is what my friend submitted so I only got this’, etc, etc. No Next Time: You don’t have a next time. Don’t say “Oh, I don’t have it, I can get it tomorrow”. You don’t have any next time. One interview is all you got! In such a case, just present the best of whatever you have available with you and hope for the best. Never finish your sentences with Questions: This brings ambiguity and makes an interviewer doubtful. You have been asked a question, simply answer it. I have heard many people answering questions and ending their sentence with ‘…..Do you know about it?’ or ‘….Do you think that’s ok’, etc. Brush up you communication skills: The words you use, the way you frame your sentences, etc. make a difference. You may not realize yourself but the way you communicate may have a different meaning to another person than what you are actually trying to communicate. Diversity: There can be different types of interviewers. They have had intense experiences with infinite types of applicants. They know when you actually lie, when you try to lie, when you don’t lie, when you lie with confidence, when you lie with under-confidence, when you lie with over-confidence, etc. So, basically, they KNOW! Lasting Impression: Try to talk with them and leave a lasting impression. You can try humour, or, say something about the weather, basically anything that gets them to think something else. However, be extremely cautious with it, if you overdo, this may cause trouble too. Don’t Repeat: They are listening to you. They understand. You don’t have to repeat information. Only repeat the information if you are asked the same question. FYI, asking same questions again and again can be a trick to get the right information out, too! Over-Communication: I have seen many people saying ‘I really need this”, ‘ I don’t know what am I going to do’, etc. I won’t help. They are doing their job. Your crying will only make matters worse! Your strong personality will only make it better! Hope: This world is running on a hope of a better world! Just hope for the best and be prepared for the worst! Lastly as Sriram Sridhar said, if you are trying to refer to this answer as a guidebook to your interview, please remember, this may not work for you at all. 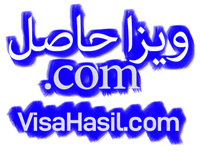 I am here to share my experience, not here to be a visa expert. The best way is always to go through the official website and more importantly, go through the official checklist on their website. Try to gain an understanding on why they want what they want! And then prepare accordingly. Good Luck!